Master Rilion Gracie is the youngest male son of the Grand Master Carlos Gracie Sr. (the founder of Gracie Brazilian Jiu-Jitsu and the creator of MMA). He has been involved in his father’s tradition since he was born. He has grown up in the world of mats, healthy living, improved life skills and philosophic concepts of Gracie Jiu-Jitsu. Professor Romulo Reis is a 4th Degree Black Belt who started training Brazilian Jiu-Jitsu with Master Rilion Gracie in 1992. 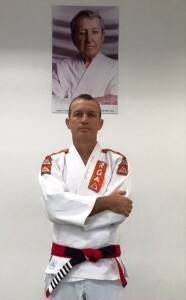 At that time, around 25 years ago, he was part of the first Brazilian Jiu-Jitsu Team in south Brazil (Florianópolis/SC) and, since then, he has dedicated his life to Brazilian Jiu-Jitsu, receiving his Black Belt in 2000. With more than 25 years of teaching experience, he has coached many champions in the world of Brazilian Jiu-Jitsu and he has ministered several seminars in Brazil, USA, Puerto Rico, Guatemala and Japan. Also graduated 25 Black Belts during his career so far, and won several national and international titles such as 3-times South Brazilian Champion, 2-times Pan-American Champion, 1-time South American Champion and 2-times Champion in Japan. 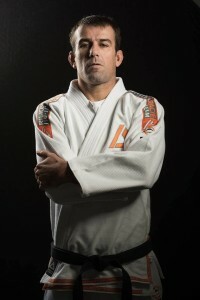 Romulo owned a Brazilian Jiu-Jitsu Academy in Brazil for 13 years teaching kids & adults and also competing before he moved to the US in 2010, when he was assigned a Professor at Rilion Gracie Academy in Miami, FL. After a few years, he was given the challenge to run the Houston, TX location for Master Rilion Gracie and moved to the city in 2013. While in the Houston Area, he also participated in the opening of the Missouri City, TX location as a partner and Lead Professor in 2015 and continues to achieve great success in the area. 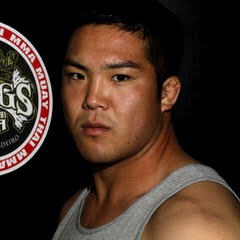 As a founding member in the world famous Kings MMA Academy in Huntington Beach, CA, Prof. Song had the pleasure of working with, and coaching, 3 UFC World Champions –Fabricio Werdum, Rafael Dos Anjos, and Cris Cyborg Justino — along with many top contenders who are still actively fighting today. He has been fortunate to watch the evolution of martial arts in combat sports grow first hand while successfully adapting and altering techniques to keep strategies honest, advanced and relevant to remain competitive. He also had the honor of being the American to receive his black belt from legendary trainer Master Rafael Cordeiro. Throughout his fight carrier Prof. Song has received numerous Fight of the Night accolades, and won several prestigious tournaments.